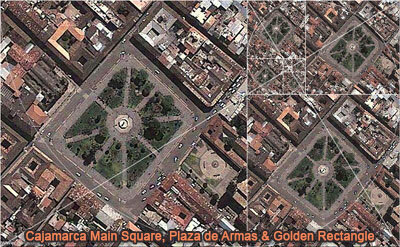 Cajamarca is located in the northern highlands of Peru. It is approximately 2,700 m (8,900 ft) above sea level and has a population of about 283,767 people. The area of the city has been occupied by varying cultures for more than 2000 years. Traces of pre-Chavin cultures can be seen in nearby archaeological sites, such as Cumbe Mayo and Kuntur Wasi. During the period between 1463 and 1471, Tupac Inca conquered the area and brought Cajamarca into the Tawantinsuyu, or Inca Empire. At the time, it was ruled by Tupac's father Pachacuti. In 1986 the Organization of American States designated Cajamarca as a site for the Historical and Cultural Heritage of the Americas. Source: Wikipedia: Cajamarca.